We’re happy to welcome Laura Marquis as a writer to the village! 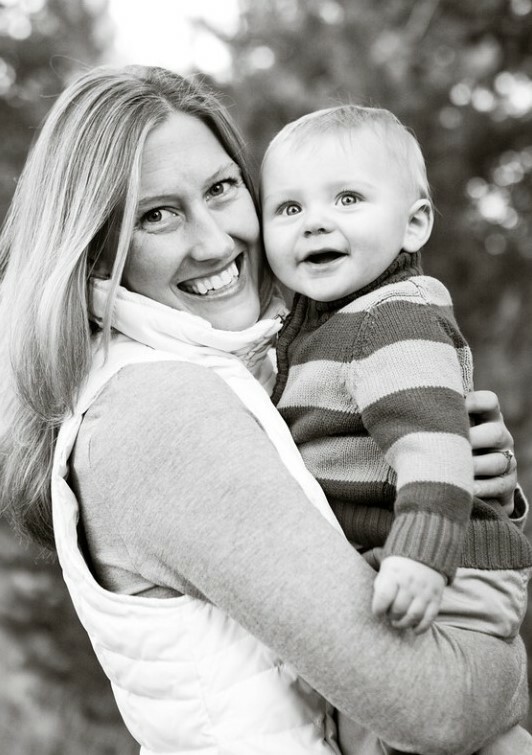 In her own words, Laura wants “to add to this space because I have found motherhood to often be a lonely role, where I have felt scrutinized and misunderstood while trying to find my identity as a mom. I am hoping to add to a space where stories can be shared free of judgment, and where community can be found.” She lives in St. Augustine, Florida with her husband Jeremy, her son Will, her daughter Caroline, and her dog, Lucy. She works part time and enjoys reading, painting, writing, swimming, and pilates. Welcome, Laura! I think there is no better way to get a mom (particularly an American one) to bristle quite like asking them if they are going to stay home with the baby when they are heavily pregnant. I feel like I have watched multiple friends breathe fire at the mention of this topic. In a country where maternity leaves are painfully short and often unpaid, you are damned if you do and damned if you don’t. I have two toddlers and am at home with them now. I have had a few periods where I have worked part time for our business in the evenings, but for all intents and purposes, I have been at home with our kids since my son was born three years ago. It has been beautiful and maddening, stifling and freeing, and has felt a bit like a daily risk. I am able to see my children on their best and worst days, and I am able to experience and sometimes capture those incredible milestones. But on other days I feel trapped, lonely, and bored, left wondering if the world of adults has forgotten me completely. I am left to worry if my time spent with them will matter. I am left to worry about the trajectory of my career, of my future earning potential. I am forced to cultivate friendships and community to stay sane, rather than relying on coworkers and a stimulating office culture to do that for me. I am forced to budget more intently and stare wistfully at a friend’s beautiful leather handbag, which would be fully impractical for me to carry. I am a type-A person, and I have an absolute addiction to the approval of others. I will pretty much spend myself for a back pat. And I will be honest, my kids can be stingy with those (as partially non-verbal humans are known to be). It can be hard to forgo recognition and to do tasks that go unnoticed. My husband is the managing partner of our business and he is always making things happen. I am proud of him, but also a bit jealous of that feeling. I miss feeling like I am making things happen. And yet, I am making things happen. I am reading to our children, planning crafts and playdates, and being fully available to them. I am creating a home base for us, and loving them in the way that comes most naturally to me – through spending time with them. I know that there are many ways to love our children, but I think that this fact – that I love best through time spent with another – is what crystallizes my decision. In those moments when I read an old recommendation letter, or when I receive a job offer, or even when the day has just been too much (too much diapering, holding, crying), I always come back to how much time means to me. And I realize in those moments why I chose this, but also why it is not everyone’s choice. My best friend is a working mom. She is pregnant with her second and has a daughter six weeks younger than my son. I have watched, proud and stunned, as she has chosen a daycare, pumped endless amounts of breastmilk, navigated an ever changing workplace, and still maintains her relationship with her husband and child. For her and her husband, the gift of a two income household, that financial security, is the best gift they can give their daughter. And I feel proud that we can both know ourselves, know our circumstances, and still root for each other so fully. I know she is often jealous of my life, and those pangs go both ways.